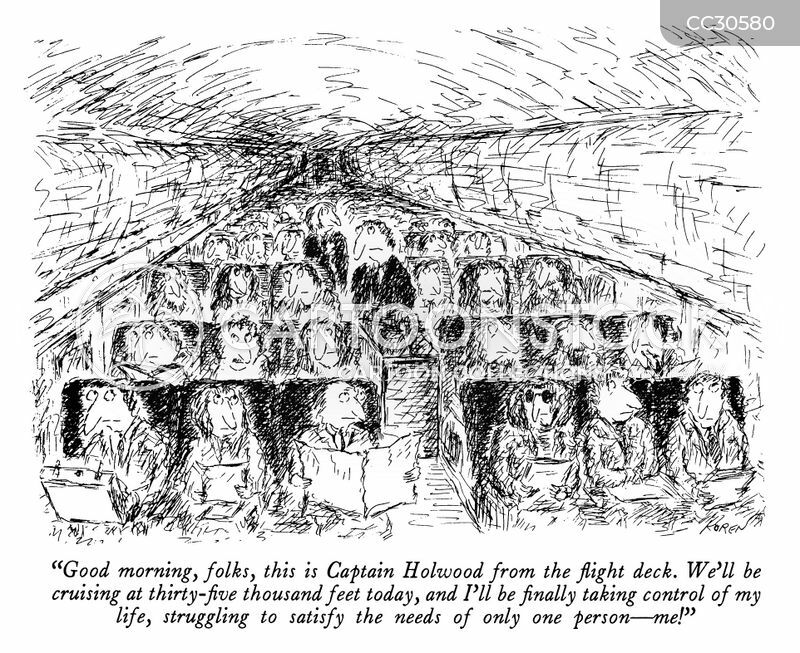 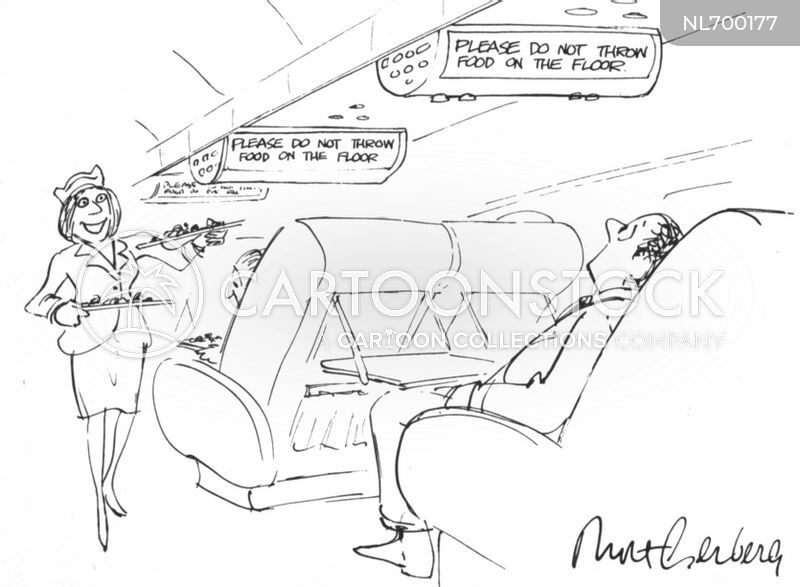 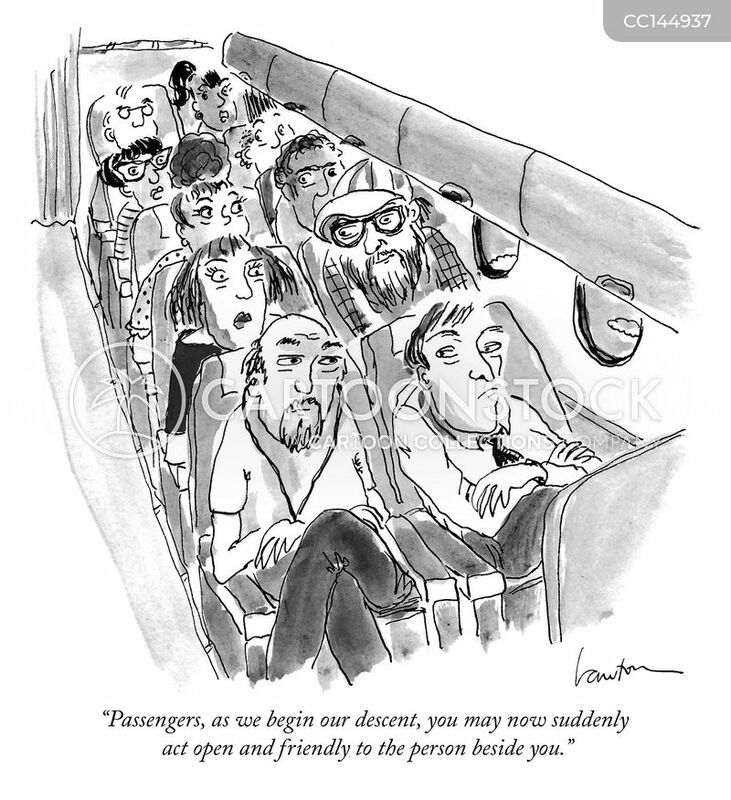 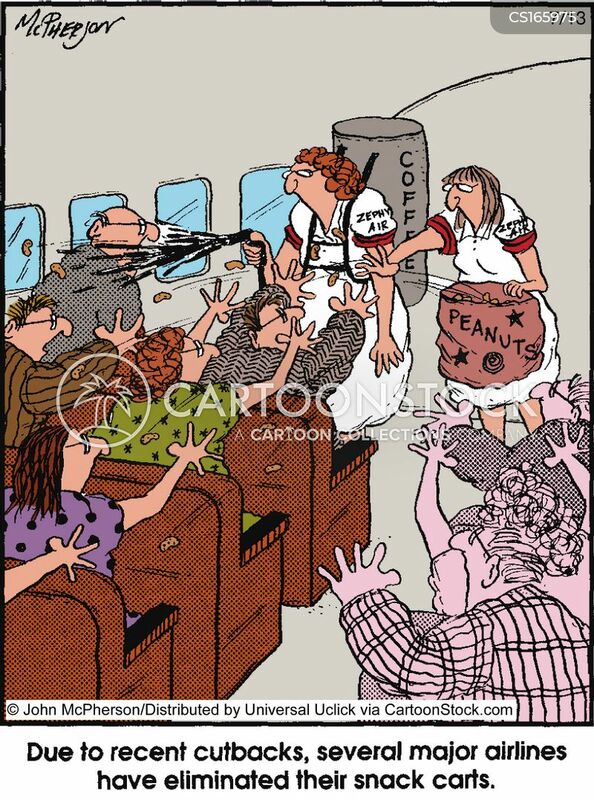 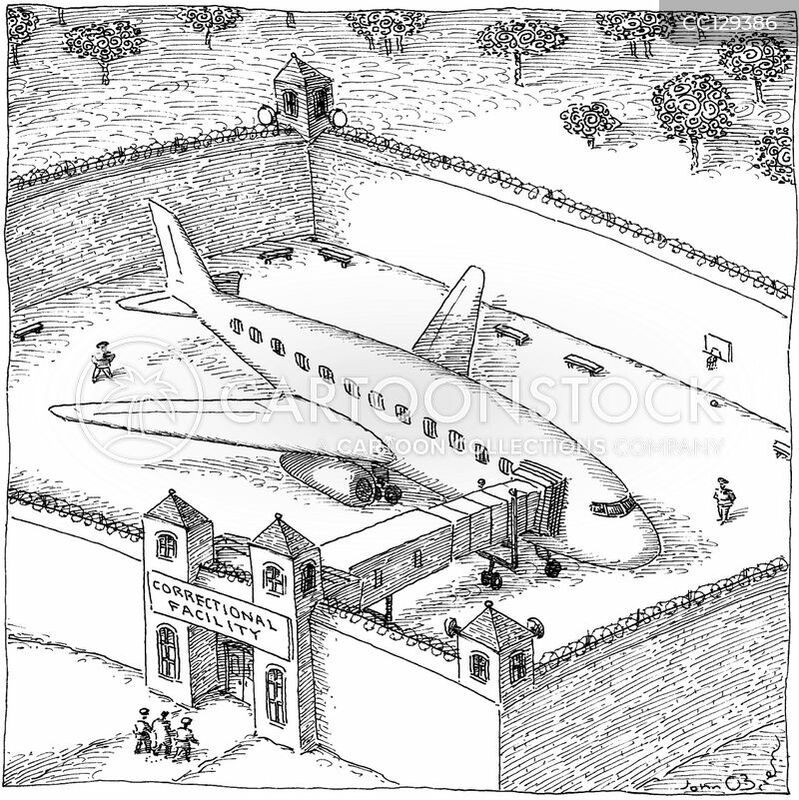 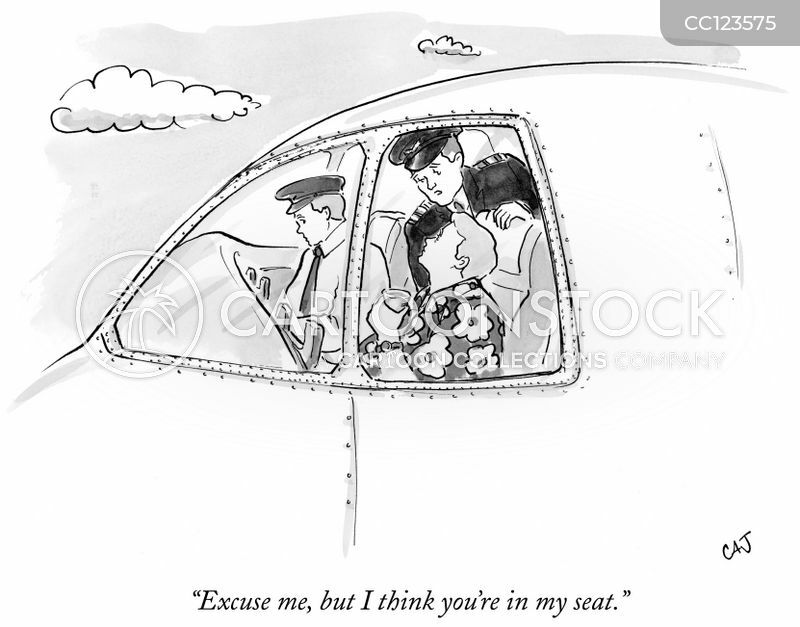 "Passengers, as we begin our descent, you may now suddenly act open and friendly to the person beside you." 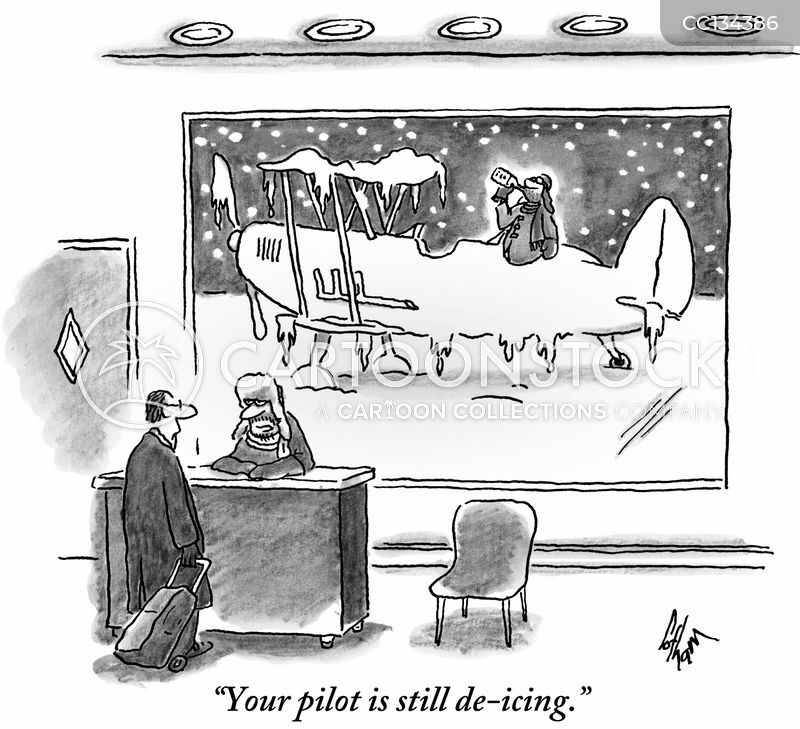 "Your pilot is still de-icing." 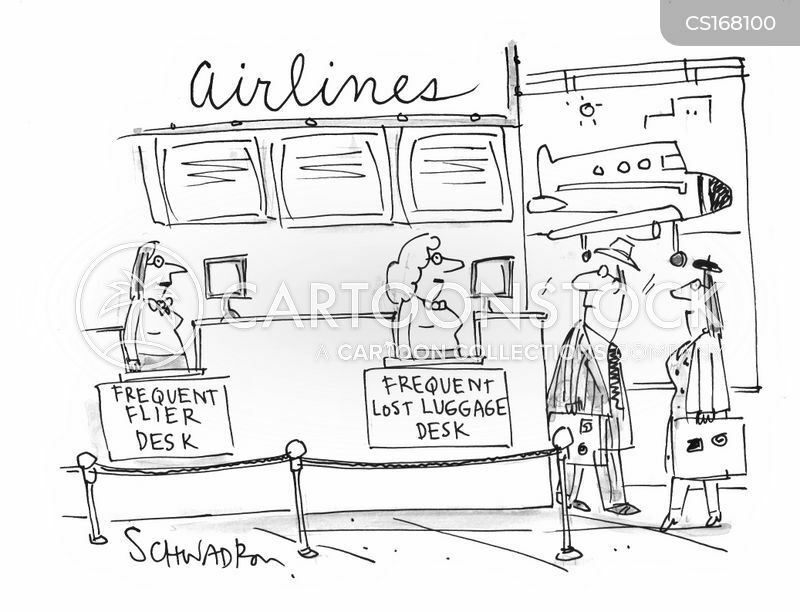 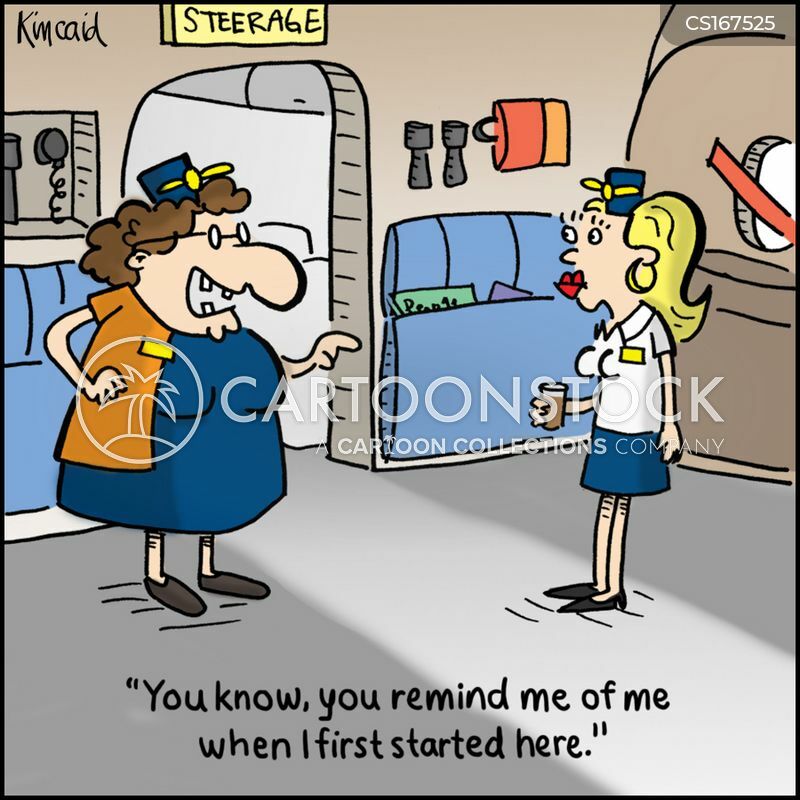 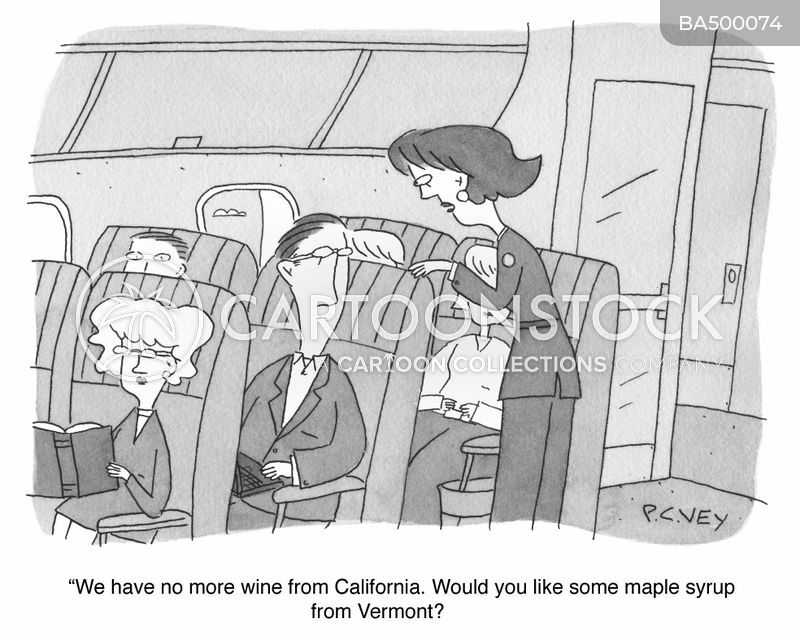 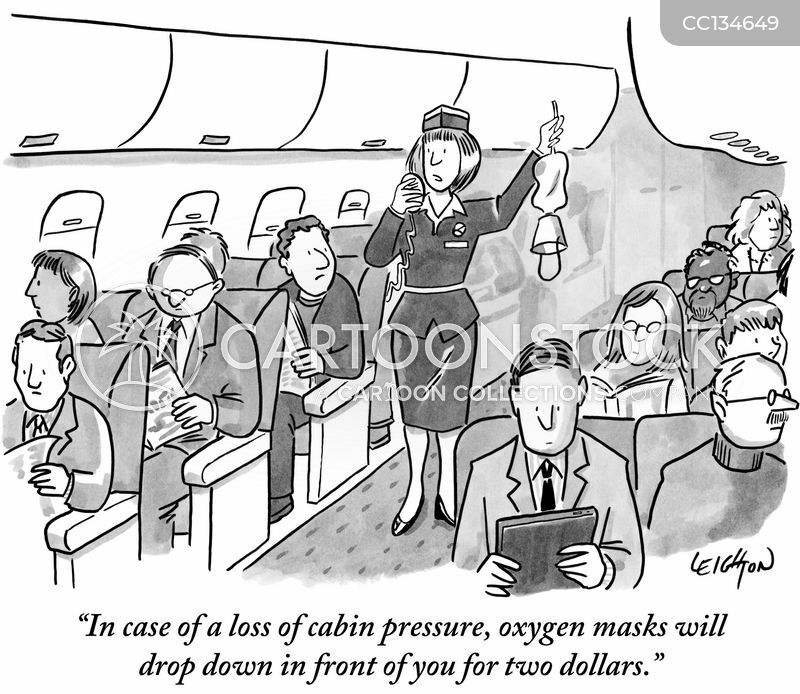 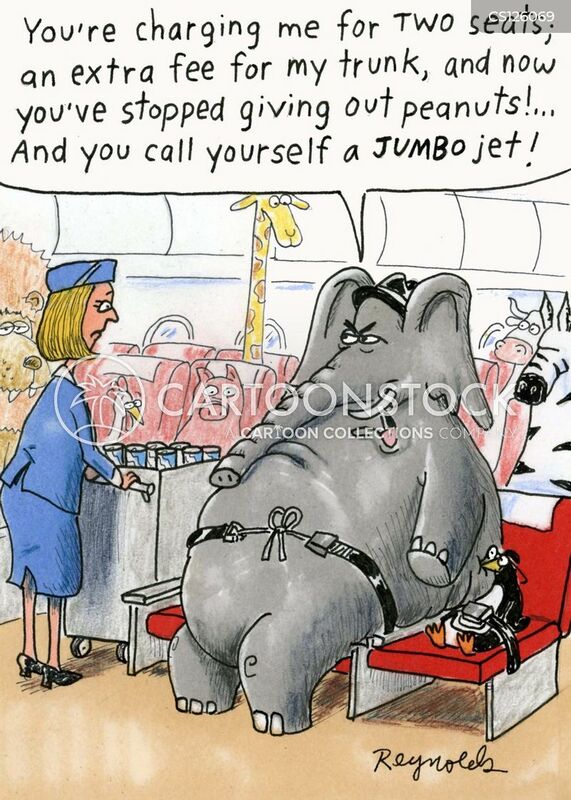 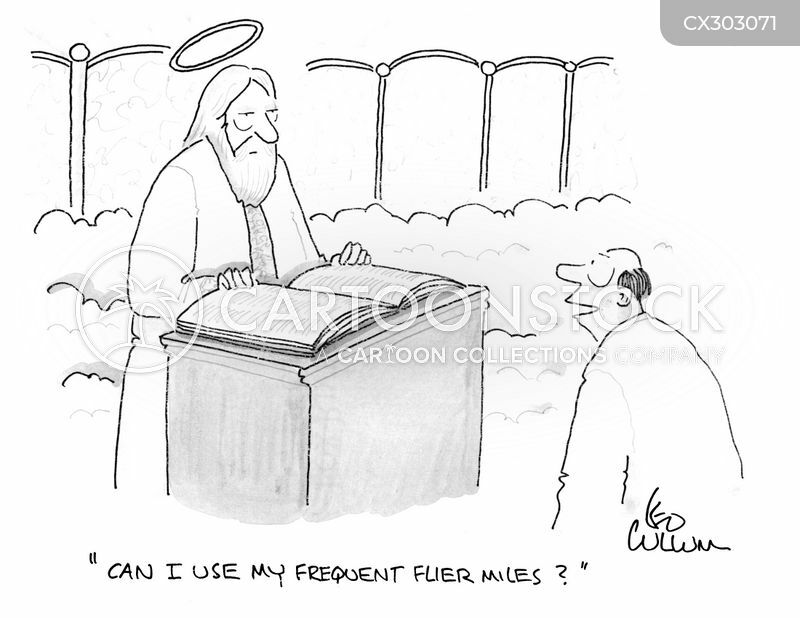 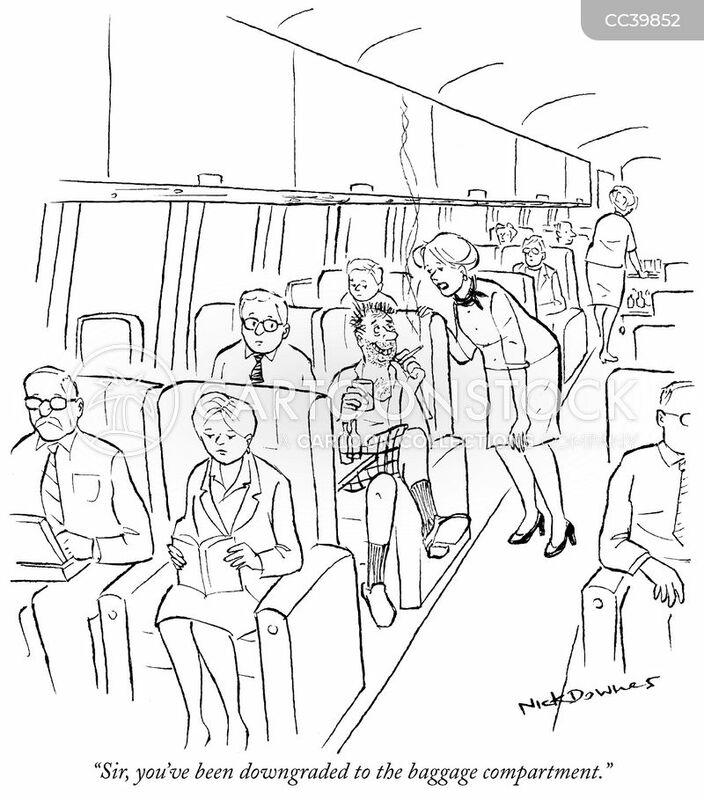 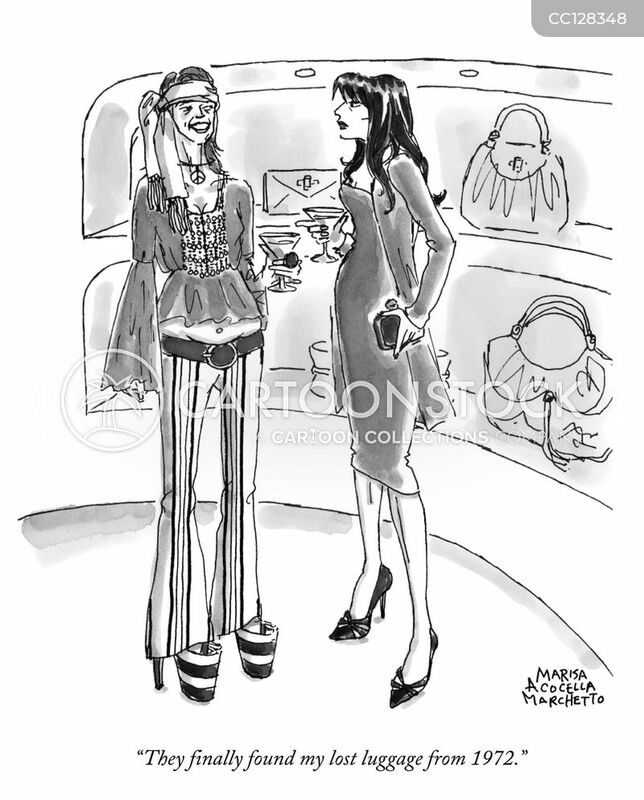 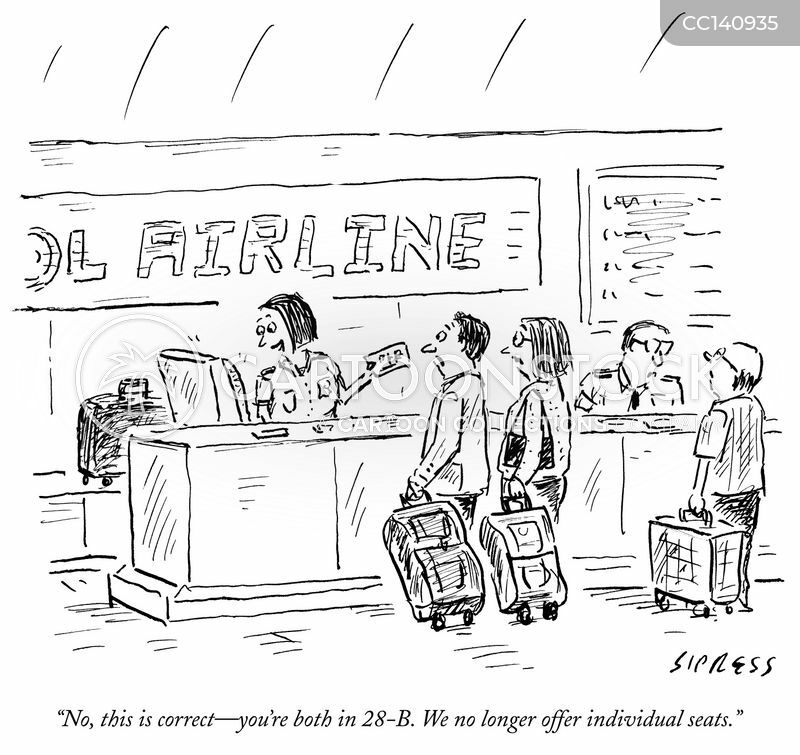 "In case of a loss of cabin pressure, oxygen masks will drop down in front of you for two dollars." 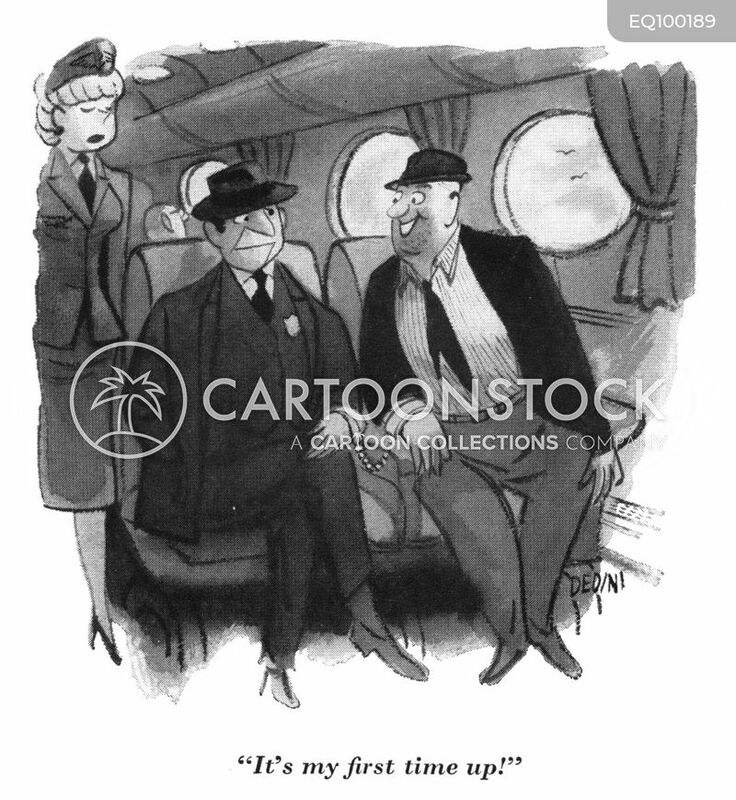 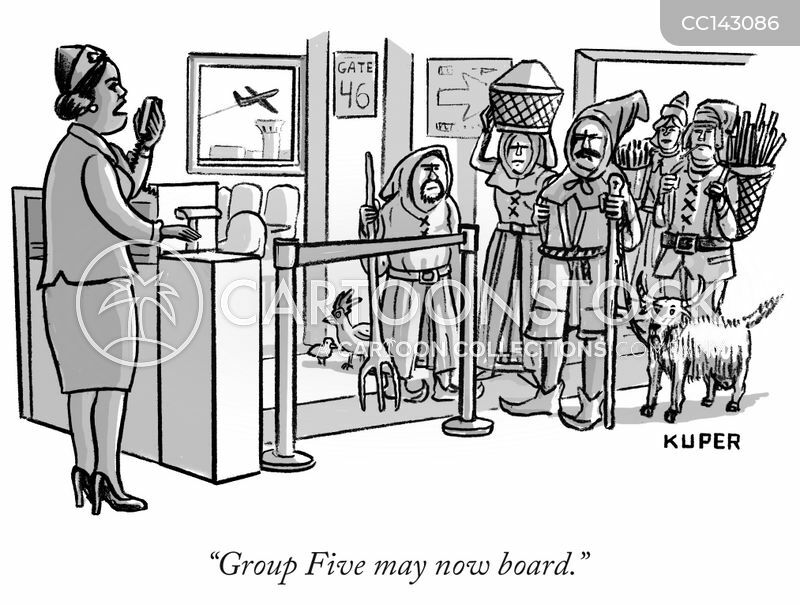 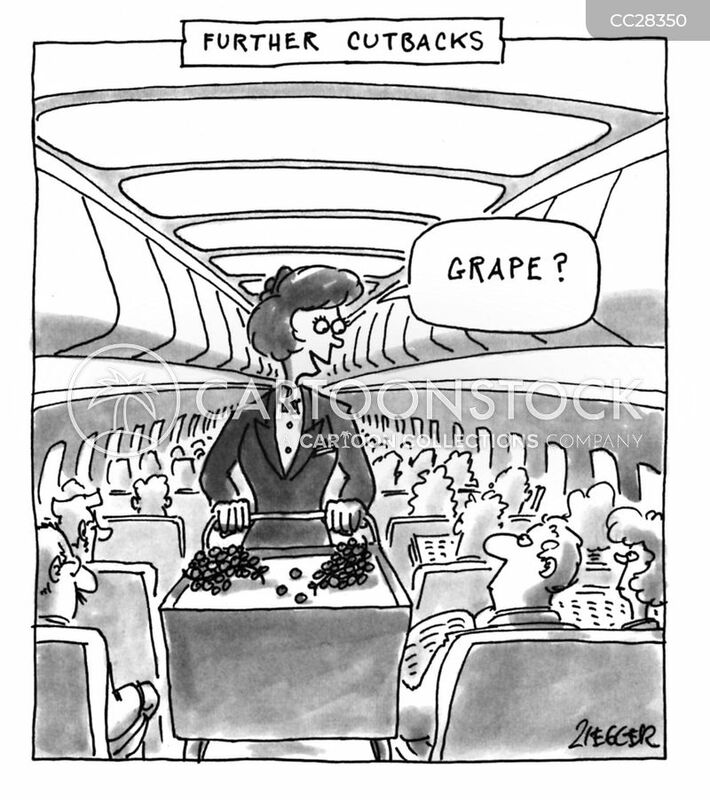 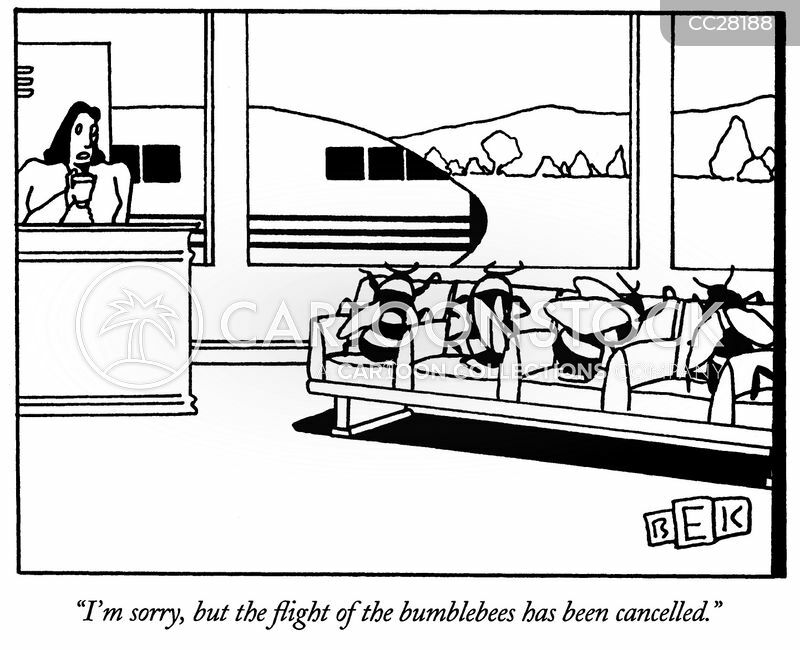 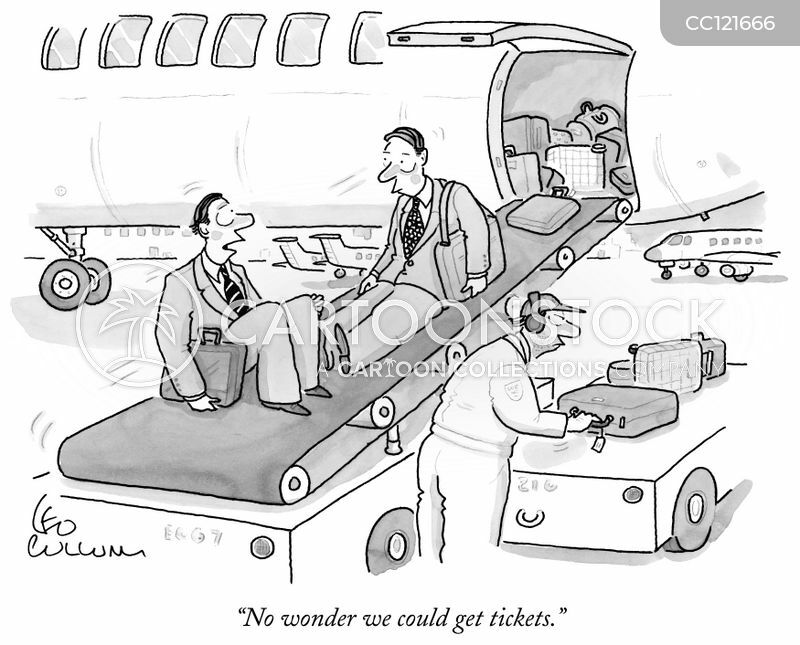 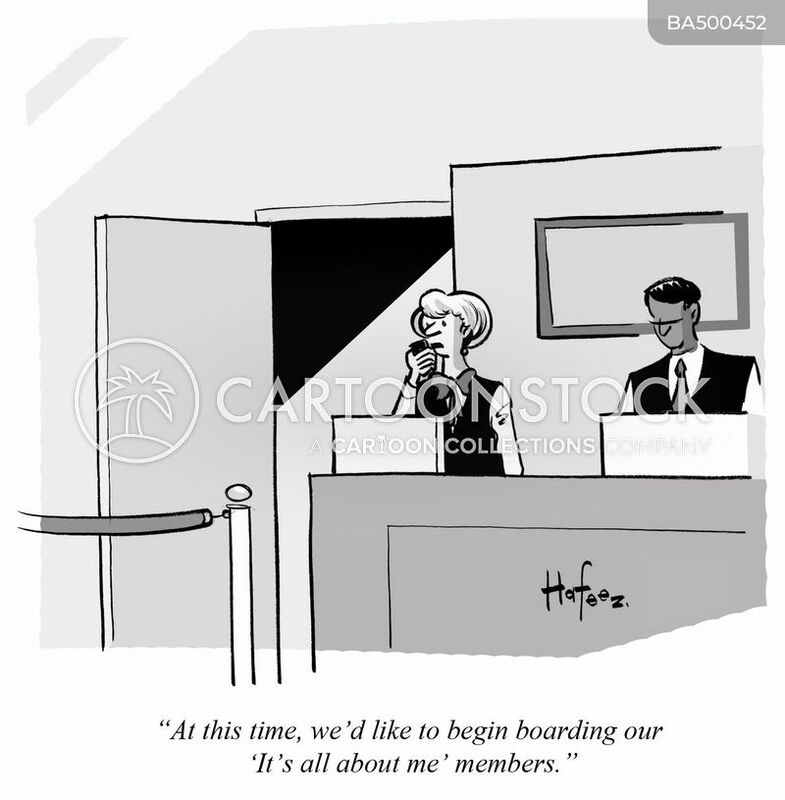 "Group Five May Now Board"
"Sir, you've been downgraded to the baggage compartment." 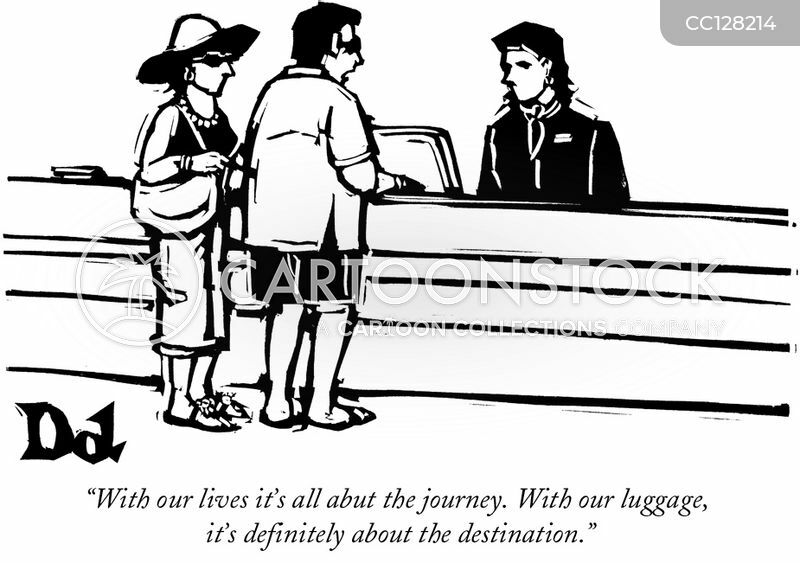 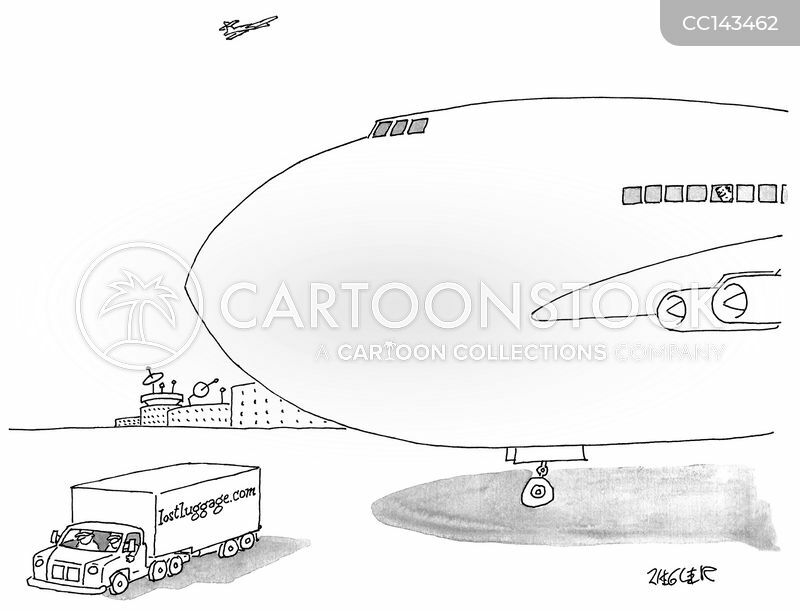 "They finally found my lost luggage from 1972."